1100 Litre Wheelie Bin. 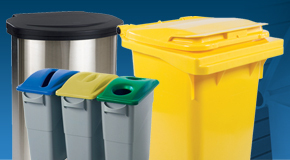 Complete with a hinged lid and four large rubber wheels, our 1100 litre capacity wheelie bins offer a large storage solution for refuge and waste. Buying in bulk? 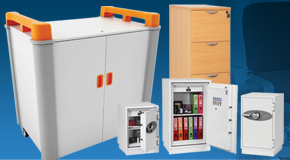 Contact us for a quotation and see what further savings we can offer. 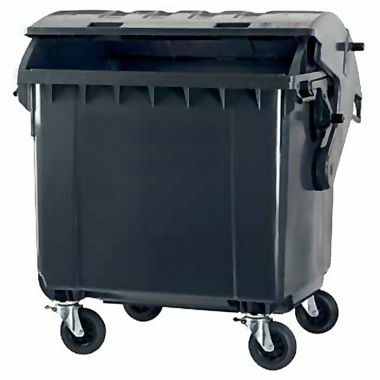 Perfect for any organisation the 1100 litre hinged lid wheelie bin is a popular favourite for waste collection. 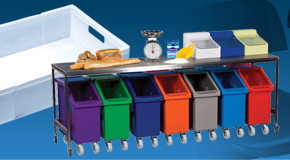 These bins are available in a number of different colours to help with colour coding and waste segregating systems within an establishment, choose from green, blue, grey, yellow or red to suit your application. Produced from a hard wearing plastic these wheelie bins are strong and durable, providing reliable waste collection solutions both indoors and out. 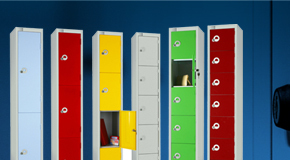 The plastic is weather resistant and will not corrode, allowing you to store the bins outside, as is commonly seen within organisations and industrial sites. 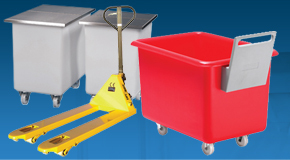 These large wheelie bins are also supplied complete with integrated lifting points, making them easy and efficient for waste collection as they can be simply emptied using any standard lifting equipment. 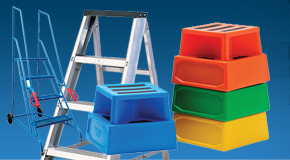 The bin incorporates a hinged lid for ease of access and four large rubber wheels that provide a lot of manoeuvrability. 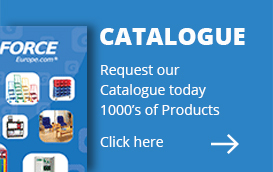 Why buy 1100 Litre Wheelie Bin? 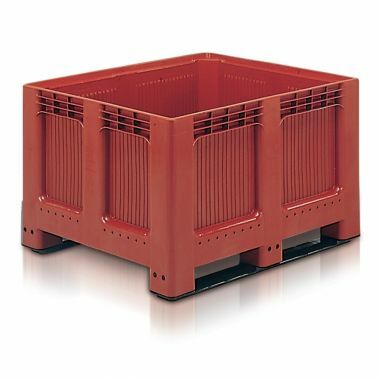 Ideal for any environment – Whether it’s outside an office block, within a warehouse or in a workshops backyard, these 1100 litre wheelie bins are designed to withstand the rigors of everyday use. 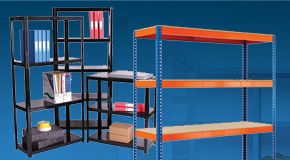 Their four large rubber wheels allow them to be easily moved about, proving essential when being emptied. 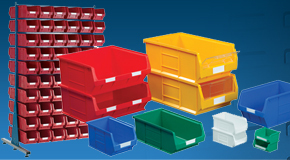 Built to last – The plastic construction of these bins proves to be both strong and durable, dealing with constant use but also being weather resistant. 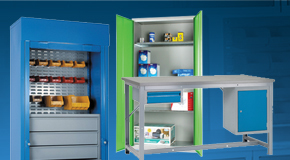 Unable to rust or corrode these bins will provide a service for years and years, guaranteed. 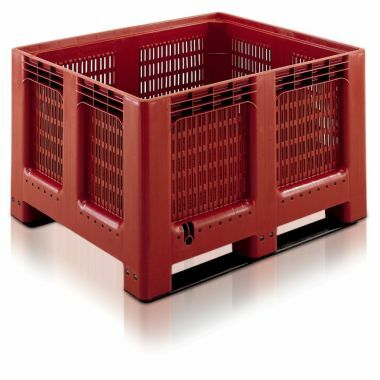 Hinged lid – These 1100 litre bins have a strong and sturdy hinged lid that allows them to be accessed quickly and efficiently when loading or emptying.